► Samples will be uploaded very soon! Megalopsy is Filtro and Zipriano, a psychedelic exploration born in Buenos Aires, Argentina in 2002, focused on creating musical potions designed to waken the user into awareness. Combining influences from life, nature, travels in inner and outer space, Megalopsy uses music as a tool to shape and enhance perception, exploring a wide spectrum of sound dimensions, materializing them in a psychedelic audible format, suitable for dancefloors and home-listening. Their style is unique and powerful, very easy to recognize in their productions and live performances taking its listeners to a deep psychedelic journey where other dimensions are unfolded and new realities are explored. 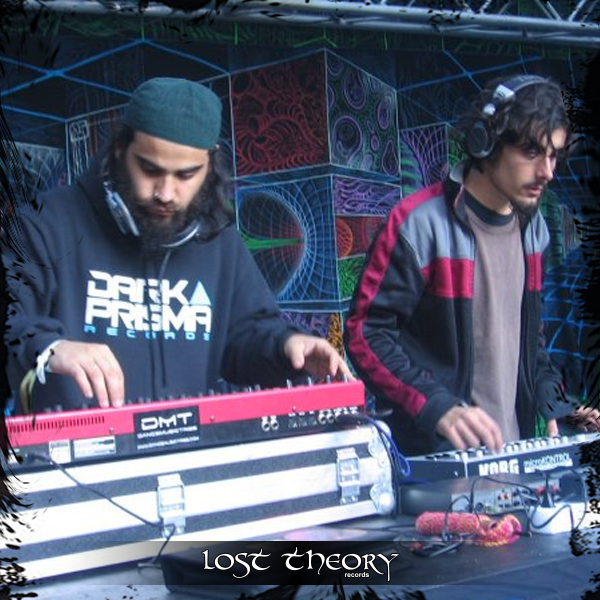 After their debut album, The Abstract Machine, released by Trishula Records in 2005, they have opened their way in the local and international scene, proving the potential of the Latin American and Argentinian psychedelic trance. They have also released tracks in labels such as Psylife, Mass Abduction and Amaris. This lead them to play in the most important events in Argentina playing with artists such as Penta, Para Halu, Horror Place, and Ocelot. They were also invited to play in Costa Rica, Brazil, Uruguay, Venezuela and have toured Europe and Mexico twice, playing in many parties and festivals such as Forgotten Ritual and Psycrowdelica with artists like Kindzadza, Derango, Atriohm and Alien Mental. Check the whole travel blog @ megalopsy.blogspot.com. 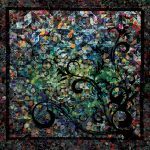 In 2005 they noticed a lot of new artists were appearing in Buenos Aires so they decided to start Dark Prisma Records, a label created for nursing Argentinian and Alien psytrance. Among their releases you can find the debut album of Frantic Noise, the side project of z1P, called The Norland Orchestra ,and recently The Void compilation done by Filter. Several releases are scheduled for this year including the Bestiary compilation by z1P, the Abyss Ooze split, collaboration between Filtro and Pandora’s Box and the long awaited Megalopsy album.